This instant classic release is now available as a DVD/LP set. The Rolling Stones’ tour for their 1978 album, Some Girls, is considered to be one of their very best. In a response to the aggression of punk and the bloated excess of disco, the album of the same name finds the band at their stripped down best. While the punks labeled many bands from the Stones’ generation dinosaurs, the Stones ended up showing the punks a thing or two about who pioneered snarling rock and roll. For the tour, the band played stadiums, arenas and small theaters. Fans in Forth Worth, TX, were treated to a small show at the Will Rogers Auditorium, which fortunately for us, was captured live on audio and video. The results make up the new DVD/LP collection, The Rolling Stones – Some Girls Live in Texas ’78. The concert opens with a raw cover of Chuck Berry’s “Let It Rock.” Mick Jagger, clad in a yellow jacket and red hat, immediately commands the stage, whipping the crowd into a frenzy while inspiring his band mates to keep up the pace. A similarly potent “All Down The Line" follows.” The track features some potent slide guitar by Ronnie Wood, while bassist Bill Wyman is up front and powerful in the mix throughout the song, as well as the concert. In a move that would probably never fly with a band of their stature these days, the Stones play seven tracks from Some Girls in the show – in a row. "When the Whip Comes Down” opens the proceedings and is equally as gritty as its studio counterpart. Wood and Keith Richards share background vocals on this fan favorite. “Miss You,” the lone nod to disco on Some Girls, has more bite than its studio version, with Wood and Richards trading some tasty guitar licks. While the new songs are the main focus of the show, the band finishes up with two of its best loved classics, “Brown Sugar” and “Jumpin’ Jack Flash.” Even after hundreds of performances of these so-called warhorses, the band gives its all and the crowd reciprocates the energy. The concert was originally shot on 16mm film and has been cleaned up considerably for this release. Bob Clearmountain remixed the audio and the band’s performance shines through with great clarity. The DVD includes DTS Dolby 5.1 audio, truly making the listener feel as if they were at this memorable show. This version of the show includes a 2-LP set mastered on 180g vinyl. Right away, one can tell these are pressed on heavy-duty, high quality vinyl. The discs are colored as well, with a red disc one and a yellow disc two. The vinyl mix is warm and powerful and analog just seems right for this band and a show of this vintage. A nice gatefold sleeve with artwork from the original tour poster rounds out the package. 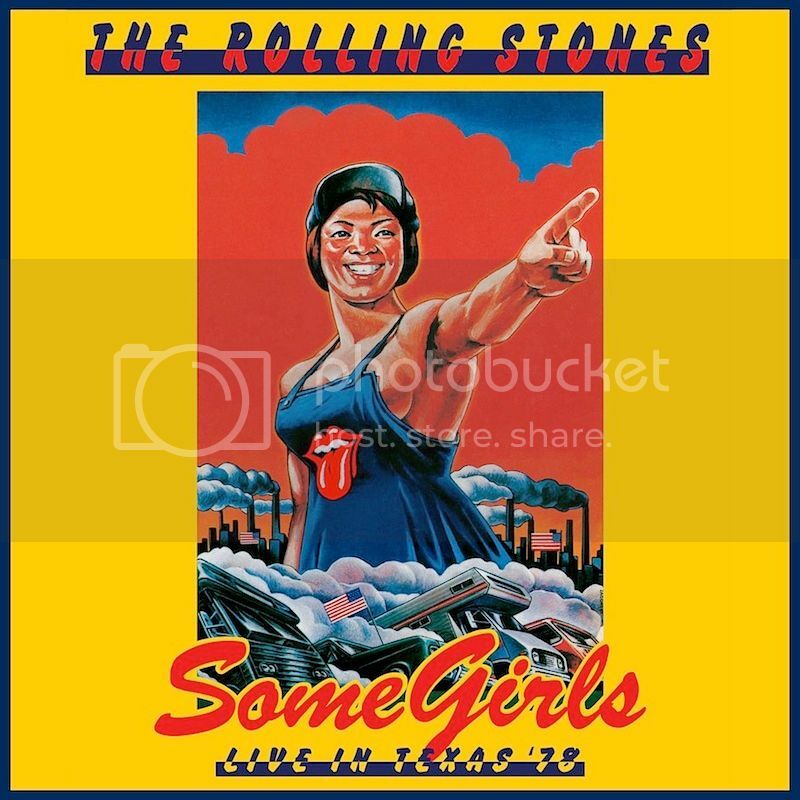 The Stones’ Some Girls album is one of the highest points of a career filled with many high points. The tour was even better if that is all possible. The band played as if they had something to prove and it showed, making The Rolling Stones – Some Girls Live In Texas ’78 a must-own for fans of the band.